During his second journey, while at Troas, Paul saw a vision of a man of Macedonia. Luke gives the following record of the vision and of the subsequent action of the apostle. Paul and his companions, including Luke, landed at Neapolis (modern Kavalla). The text indicates that the real goal of their mission was to reach the Roman colony of Philippi. Someone has commented that it is often the case that preachers have a call from a man to come preach somewhere. When they arrive they find mostly women. Paul found Lydia of Thyatira. She was a seller of purple. Whether the cloth or the dye, we are not told. She was the first convert on European soil. We make much of the fact that this was the first preaching in Europe. At the time the most important thing is that it was the first preaching in the Roman province of Macedonia (now northern Greece). 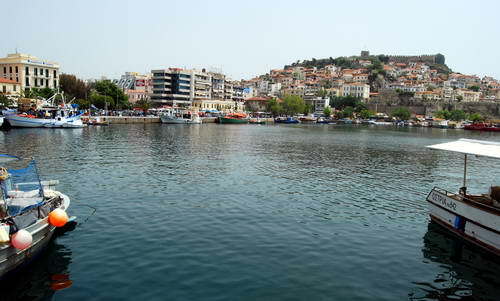 Here is a photo of the modern port at Kavalla. Luke’s account of the first convert in the city is recorded in Acts 16. The river Ganga (some say Gangites) is a short distance north of the Agora of Philippi (IDB, III.787). 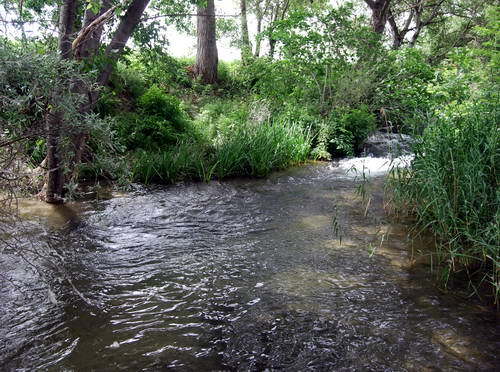 This must be the river under consideration in the biblical account. Here is a photo of the river that I made yesterday. We also visited Neapolis (modern Kavalla), Amphipolis and Appollonia. Today we plan to visit some important sites in Thessalonica.